The Wolfe CityVolunteer Fire Department's new tender, purchased with a $200,000 grant from the Texas A&M Forestry Service, can carry 2,000 gallons of water to the scene of a fire. 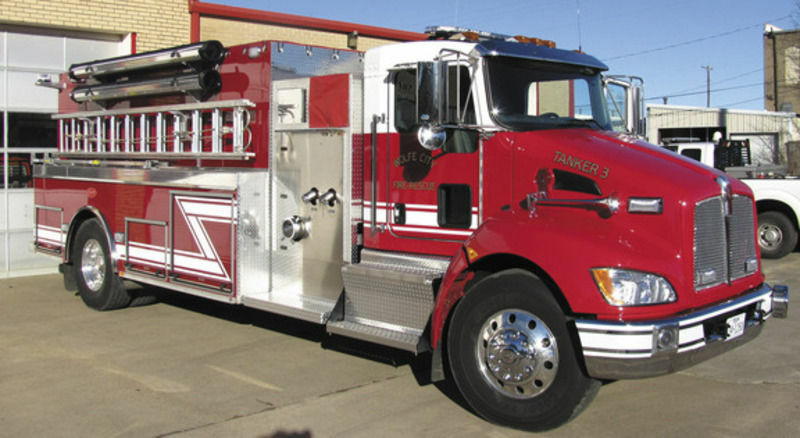 WOLFE CITY — Wolfe City’s Volunteer Fire Department has placed into service a new, 2,000-gallon water tender purchased with a $200,000 grant from the Texas A&M Forest Service. The new tender also has a portable drop tank and LED lamps on the rear to help illuminate fire scenes at night. Deary said that, while hydrants exist in the town of Wolfe City, much of the VFD’s response area is rural, meaning that arriving fire vehicles would not have access to water. He said the tender will also help the VFD offer aid more frequently in fire emergency situations that might arise in surrounding districts. The grant program used by Wolfe City was the Rural VFD Assistance Program, funded by the Texas Legislature and administered by the A&M Forest Service. 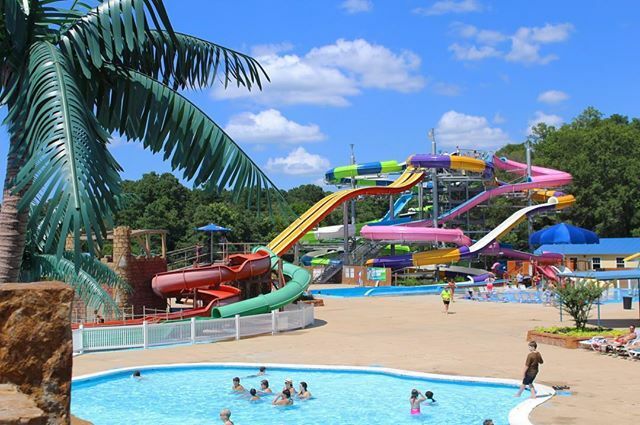 Thrilling water slides and a relaxing lazy river are just a few of the attractions you’ll find at Splash Kingdom Family Waterpark in Greenville. Much of the waterpark features an airplane theme as an homage to Greenville’s extensive history with aviation. The park’s annual season starts in May and ends in September, making it a great place to cool off from the heat of the Texas summer. If you are looking for a fun family day in Greenville, TX, This is the right spot! With two park units, you’ll find plenty of room to roam. Bring your fishing pole, your hiking shoes, your horse, your swimsuit–or heck, just bring yourself! We’re only 90 minutes northeast of Dallas. Doctors Creek (on the north side of the lake) and South Sulphur (on the south side) offer tons of amenities. You can fish, picnic, swim, boat, water-ski, hike, bike, bird watch, study nature, stargaze, ride horses, geocache and camp. Rent one of our pavilions for your next group event. Fish: Surrounded by the state park and wildlife management areas, the lake provides a peaceful fishing destination. 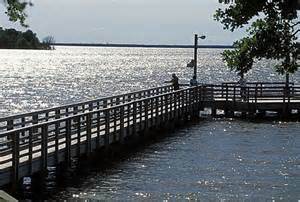 We have boat docks, fishing piers, and fish cleaning stations. You can rent a canoe at the South Sulphur Unit. Remember, you do not need a fishing license to fish from shore in a state park! Stay: Camp at one of our sites with water and electricity, or at a walk-in campsite. We also have equestrian campsites at the South Sulphur unit. Both units have screened shelters and air-conditioned shelters. Or rent one of South Sulphur’s cabins, complete with kitchen and bathroom. Ride your horse: Bring your horse to the South Sulphur Unit (we require proof of negative Coggins). The 10.5-mile Buggy Whip Equestrian Trail crosses nearly 600 acres of shaded forest and thick vegetation, and takes you down hillsides and through creek gulches. Some parts of the trail are challenging. Come for the day, or camp in one of our equestrian campsites. Access the trail from your campsite. Volunteer: We need your help! Check our Volunteer page or ask at park headquarters. The park store at Doctors Creek sells gift items. South Sulphur’s store sells souvenirs, books, ice and drinks. We offer a variety of programs, from birding to stargazing. Check our Events page for upcoming programs. Learn more about the park on our Nature and History pages. For the kids: Become a Junior Ranger! Pick up a free Junior Ranger Activity Journal at headquarters. Complete a certain number of tasks to earn a badge. Borrow a Junior Ranger Explorer Pack with tools for exploring the park. Samuel Bell Maxey was born on March 30, 1825 to Rice and Lucetta Pope Bell Maxey in Tompkinsville, Kentucky. Maxey graduated from the United States Military Academy at West Point in 1846 and served in the U.S. Army during the U.S–Mexico War. After leaving the Army, he joined his father’s law firm in Kentucky and married Marilda Cass Denton in 1853. Maxey and his father moved their families to Paris, Texas in 1857 and continued their law careers. Maxey was elected to the Texas State Senate in December 1860, but the state seceded from the United States before he took office. Instead, he formed the Ninth Texas Infantry Regiment to serve the Confederate States, eventually rising to the rank of major general. After the Civil War, Maxey attempted to resurrect his legal career, but found he required a personal pardon from President Andrew Johnson to continue his law practice or to hold public office. After many unsuccessful attempts, Gen. Ulysses S. Grant, Maxey’s classmate from West Point, recommended his presidential pardon and his citizenship rights were restored. The fees collected from legal cases allowed the newly restored attorney to build his house on Church Street, which was completed in December 1868. Maxey and Marilda moved into the house, along with their 12-year-old adopted daughter, Dora Rowell Maxey. Their fashionable house was designed to resemble an Italian villa with elongated, hooded windows, a portico and open porches. The elaborate carvings on the front columns and other rich architectural details are reflections of the Victorian love for embellishment. This house was a progressive addition to the city’s architecture and considered a proper home for Maxey’s prominent status. In 1874, Maxey was elected to the first of two terms in the United States Senate. Known as “The Beaver of the Senate,” because of his tireless work, he developed legislation that improved national harbors, railroads, post offices and post roads. Sen. Maxey died in Eureka Springs, Arkansas in August 1895; his body was brought home to Paris and laid to rest in Evergreen Cemetery. Sam Bell Maxey Long (Maxey’s great-nephew) and his wife Lala inherited the home in 1908 and began extensive remodeling in 1911. The Longs made several additions to the back of the building, including a breakfast room, a first floor laundry room and an upstairs sewing room. They combined two of the sitting rooms to create a larger, more formal parlor. Outside, brick walkways were re-laid and the original fence was replaced by a boxwood hedge along Church Street. · Sam Bell and Marilda Maxey were invited to dine at the White House with President Ulysses S. Grant and First Lady Julia. · Maxey’s West Point roommate, Thomas Jackson, earned the nickname “Stonewall” during the Civil War. · Texas Gov. Richard Coke and Kentucky Gov. Preston Leslie attended the wedding of Maxey’s daughter in Paris, Texas on November 3, 1874. · Dora Maxey Lightfoot’s husband, Henry W. Lightfoot, was appointed the Chief Justice of the Fifth Supreme Court of Appeals in Dallas by Gov. Jim Hogg. · Maxey’s great-nephew, Sam Bell Maxey Long, was in the first law class at the University of Texas in 1892; the equivalent of a present-day Juris Doctor degree. · Sam Bell Maxey Long married the daughter of U.S. Marshal, J. Shelby Williams. Williams brought in 88 outlaws, including the notorious Bill Dalton of Tulsa, Indian Territory (present-day Oklahoma). · On exhibit at the Maxey House is a huge shell from the ocean that served as the family punch bowl. · Texas legislative documents refer to Marilda Maxey’s cultivation of crape myrtles. 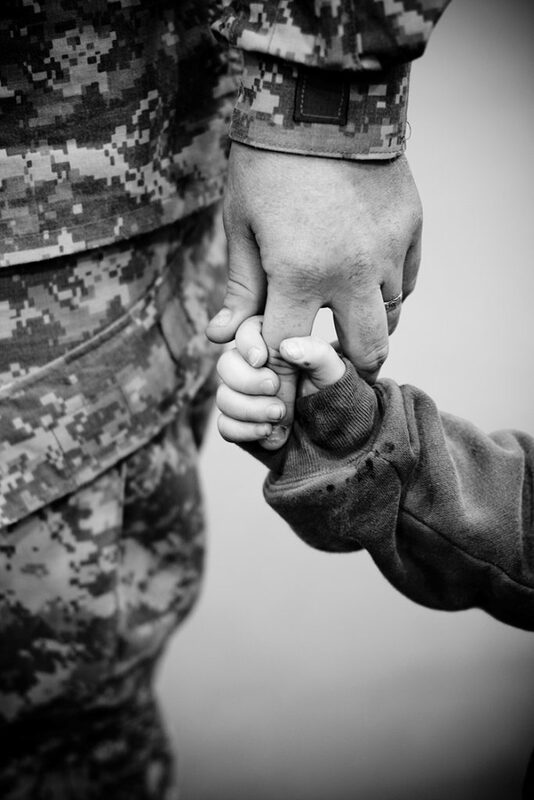 · Camp Maxey in Paris was named in honor of Sam Bell Maxey during World War II and continues to function as a National Guard center. · Stand Watie, the only Native American general in the Confederacy, served under Gen. Maxey. 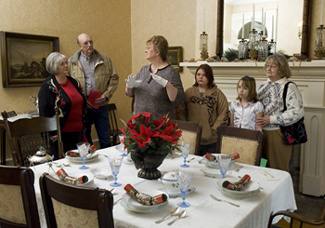 Visitors tour the dining room at the Maxey house. Visitors to Sam Bell Maxey House are guided through the Victorian home of the Maxey and Long families, which interprets how an upper-middle-class family lived in the late 19th and early 20th centuries. The Maxey and Long families lived in the house for 99 years before it was turned into a public institution, leaving a collection that is mainly family-owned. 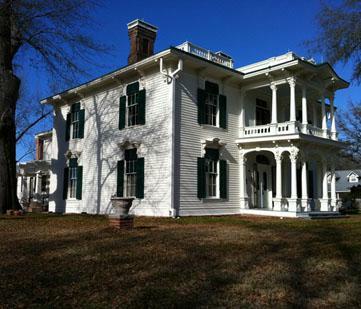 Today, the Sam Bell Maxey House has more than 10,000 artifacts. Visitors to the house hear stories about the families while viewing the actual objects owned, used, and created by the Maxeys and Longs. A number of the site’s signature pieces were recently conserved, including the painting “Rebecca at the Well,” a 19th-century hand-painted fan, and two swords. The site is accessible only by guided house tours, which are given every hour on the hour and typically last 45 minutes to one hour. The last tour is given at 3 p.m. In addition to the house tour, visitors are free to walk the grounds at their own leisure where they can view the formal Victorian garden, a rose garden planted in honor of Marilda Maxey’s love of gardening and roses, and a number of crape myrtle trees. Marilda Maxey brought the first crape myrtle trees to Paris when the Maxeys moved to Texas from Kentucky. Check Out this Information from the Trail de Paris website I found at http://www.traildeparis.org. This is great for family outings in Paris, TX. Get away from the hustle and bustle of city life. In the heart of Paris, you will find the serenity you seek on the Trail de Paris. The gently curved route cuts a recreational ribbon from 12th SE Street, winding east under a beautiful living canopy of trees over Loop 286 to the Paris city limits. A sense of community has emerged with the addition of the Trail to our area. Newcomers, visitors, and long-time residents of all ages find the Trail de Paris to be a local amenity that promotes recreational, educational, and civic opportunities. It is appealing to those who seek a pleasant, safe place to walk, run, or ride bicycles, and is handicapped accessible. This is Paris and Lamar County’s only non-motorized Pedestrian/Bicycle Trail. Leashed dogs are also permitted on the Trail. The distinct Trail de Paris “Welcome” signs are placed at each of the 6-Trail access points. These Trailheads offer parking and are located north of the Sports Complex Outdoor Pavilion, Noyse Stadium at 24th SE Street, east and west side of Collegiate Drive, behind TCIM and Sears Facilities on Clarksville Road, in back of the PCA Medical Complex on Clarksville Road, and off Old Clarksville Road at the Red River Boys and Girls Club Sports Complex. Going east from 12th SE Street where the Trail currently finds its western most boundary, huge sugarberry trees shade the Trail as it meanders to 24th SE Street. Here the Trail cuts through the Paris Junior College Campus. Gaze at more than ten varieties of crape myrtles that line the corridor. Look for those that are labeled to learn their names. Established near the center of the corridor is the Butterfly/ Hummingbird Garden that thrills patrons with its floral display in blooming seasons. A nursery of Monarch chrysalises has adorned the monuments located there in the past. This is one of many places on the Trail that offer photographic scenery. Bring your camera. A trail map showing “You Are Here” is displayed on a kiosk near the entrance of the Collegiate Trailhead. Con-tinuing east, cross a Railroad “Hobo” bridge spanning Big Sandy Creek. If it has rained, pause and listen to the rippling water curving its way deeper into the woods. A number of native trees singled out by markers are found along this portion of the Trail. Stop and read the information about them. This section of the Trail is canopied with deciduous trees that display a beautiful foliage scene in the fall and shade in the summer. Smell the honey-suckle and catch a glimpse of fireflies on a summer evening. Before reaching Loop 286, the Trail crosses two more creeks via refurbished railroad bridges with fabricated safety handrails. Marvel at how PJC students managed to decorate the concrete embankments under Loop 286 with their artistic creativity. In the spring, the bluebonnets and other wildflowers blanket the surrounding area with a colorful palette. You will now traverse over U.S. Highway 271 on a fabricated, wood planked, iron truss bridge that is mesh canopied. On the other side of the bridge, beautification efforts by a local 4H group of young people are in progress. Parking at the Boys and Girls Red River Sports Complex is another option for entering or exiting the Trail. The final push east crosses Old Clarksville Road, and through pastoral scenes. Before Key West Rd, the green center stripe ends, marking the Paris city limit with that of Reno. This is the beginning of the Reno Rail Trail that continues on through Airport Road to Reno’s east city limits. ambles through a 90-acre heavily wooded area and over a successfully relocated and rehabilitated rainbow steel truss bridge spanning Big Sandy Creek that includes a beautiful deck shaded by two Red Oaks. It is a perfect spot to have a picnic, snack, or to spend some retrospective time surrounded by the sound of rustling leaves, and birds chirping. It continues south to the Sports Complex Trailhead’s lighted parking lot. Families will find the “Born Learning Trail” interactive signs sponsored by the Lamar County United Way along this spur that are helpful in guiding children to engage in new outdoor experiences. This spur also intersects with 2.5-miles of pathways that take the more adventurous patrons deeper into the woods where plant and wildlife may be observed more closely. Easy-to-see markers indicate every quarter of a mile on the Trail to aid calculating distance covered. Sections of this non-motorized, handicapped accessible Trail are color coded to expedite any emergency response. “Share the Trail” arrows help remind users to stay to the right for two-way traffic. Bicyclists are to pass pedestrians on the left and on approach indicate so verbally. Signage informing users of rules, regulations, and safety issues are also posted. Benches, trash cans and portable toilets are strategically placed along the Trail.